Our top cosmetic dentist in Beverly Hills, Dr. David Javdan, provides dental implants as a solution to missing, decayed, or damaged teeth. Dental implants, or tooth implants, serve as prosthetic replacements for a missing teeth. 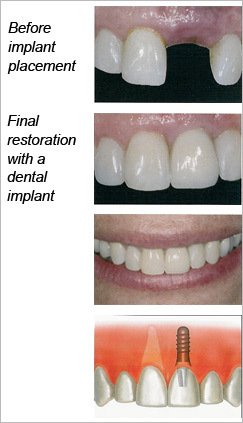 Dental implants can restore your smile with natural-looking replacements. What is the benefit of receiving dental implants? Modern dental implants look and feel the same way a natural tooth does. They will restore functionality and beauty to your smile. Why is it important to receive dental restorations for missing teeth? 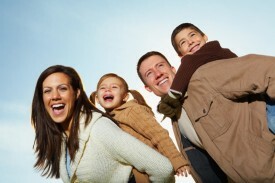 Several problems are likely to arise as a consequence of missing teeth and gaps. Surrounding teeth will shift, resulting in further misalignment. Gum tissue tends to deteriorate and the jaw bone, lacking support, becomes less stable. Dental implants restore stability, support, and resilience to the jawbone and mouth. The procedure involves the surgical placement of the implant into the jawbone of your teeth, both upper and lower. Multiple visits may be required over the span of several months. In these appointments, you will likely have X-rays and impressions formed of your teeth, in addition to the surgical placement of the implants and the attachment of the artificial teeth. Dr. Javdan, our expert cosmetic dentist, is proud to serve patients from the Los Angeles area. If you are interested in dental implants, please give us a call and schedule your next appointment at Beverly Hills Prestige Dental Group.